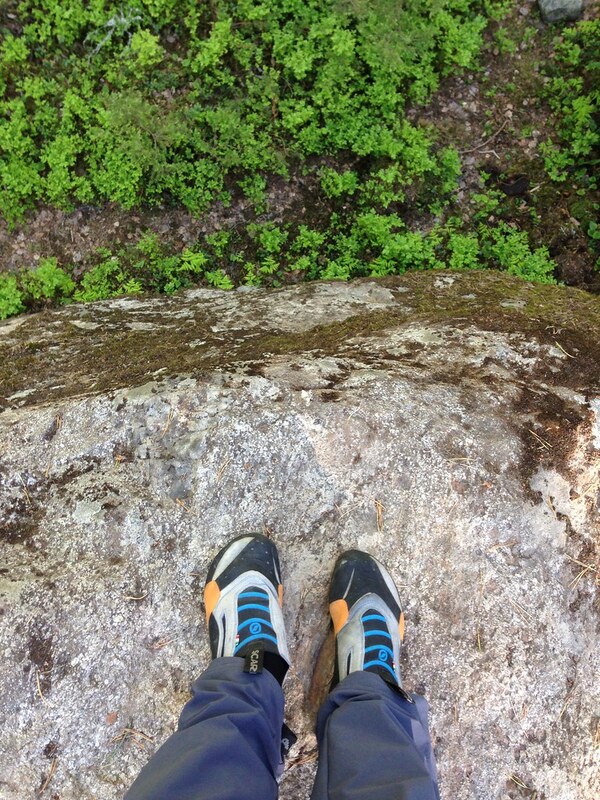 Climbing shoes. Like other shoes they can be a source of much discussion. 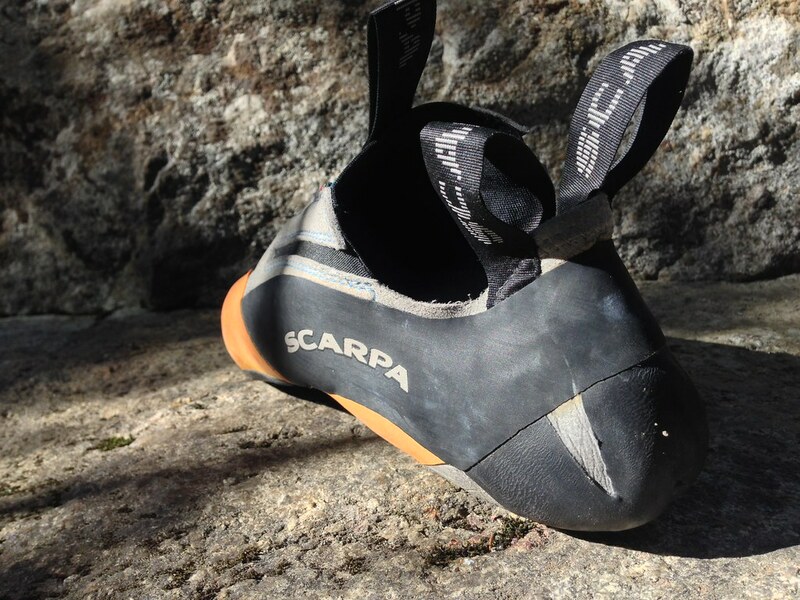 The Scarpa Stix was popular long before I started climbing, was shelved and now makes a return - and it’s easy to feel when climbing with it why this shoe was and is so popular. 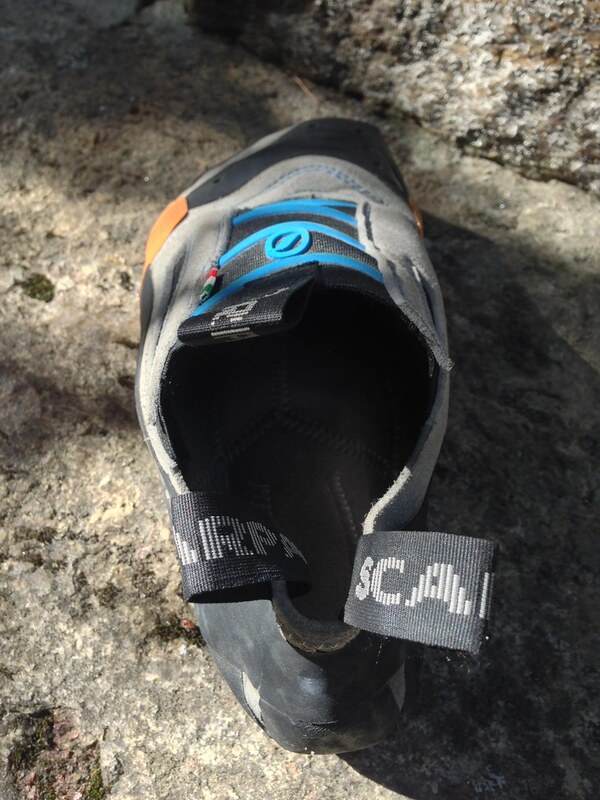 I like Scarpa’s climbing shoes. 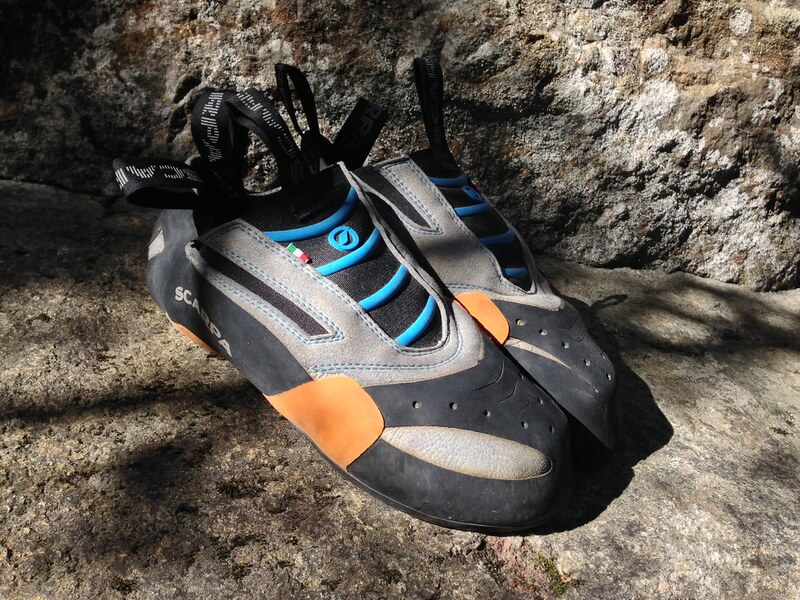 The Feroce still gets regularly used on rock and plastic, though since I got the Stix late in 2013 it has been my climbing shoe of choice. There’s much to like about the shoe: There’s the weight of just 402 g for the pair in Size 41, the sticky rubber and the precise feel. One thing which really rules for me is that they’re quick and easy to put on and take off. With the Feroce I had three Velcro straps to open and close and the Techno X uses laces. The Stix uses neither - it’s a slipper that hugs my foot for a wonderful snug fit without being constricting or uncomfortable. In case you’re wondering if it easy to lose the shoe - for example when heel or toe hooking: Nope, no chance. The Stix fits like a glove and doesn’t budge. But back to fit for a moment. Once you slip into the shoe, which is easy thanks to the two large tabs at the back and the one on the instep, your large toe right away finds its spot, with the other toes falling in line. While the rubber isn’t super thin, it’s thin enough for a precise feeling of the rock underneath: With the pointy toe box you’ll find pockets without problems, while on tiny ledges you feel like you can reliably and safely weigh down on your foot and know that it will stick. If you prefer slabs (and I really do!) or the climb just has no footholds you will be glad to hear that it’s a fine shoe for smearing. Which brings us to toe and heel hooking. I like Scarpa shoes because they fit me so well - it sometimes feels like they were designed for my feet - and the heel cup on the Stix is no difference here. A narrow, hugging heel cup without any dead space makes it easy to do precise heel hooks, with sticky rubber going far up the heel on all sides for extra friction. Toe hooks are similar: Because of the great fit for all my toes and the rubber on top it’s comfy & easy to hook with the shoe. 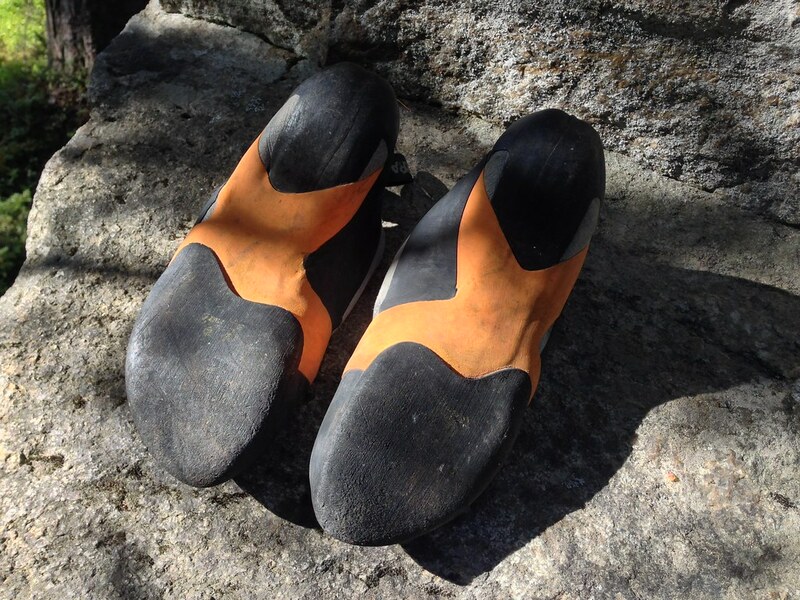 As it’s fast to put on & off it’s easy to take the shoes off between pitches or when taking a break from a boulder problem. Even on hot, sunny days the shoe is comfortable to wear and does not create hot spots or overly sweaty feet. 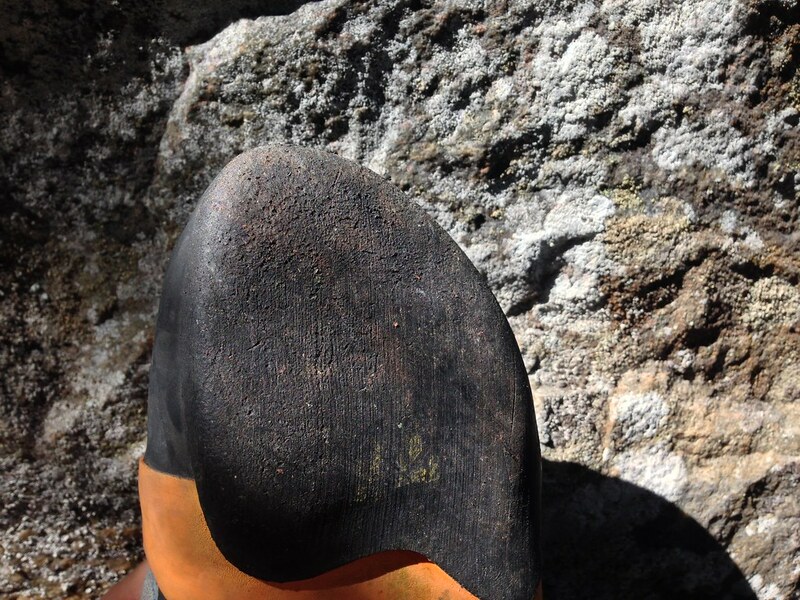 The Stix is reasonably priced for such a high-quality shoe, and using it now since five months a couple of times a week on rock and plastic it feels like they still have a lot of climbing left in them. 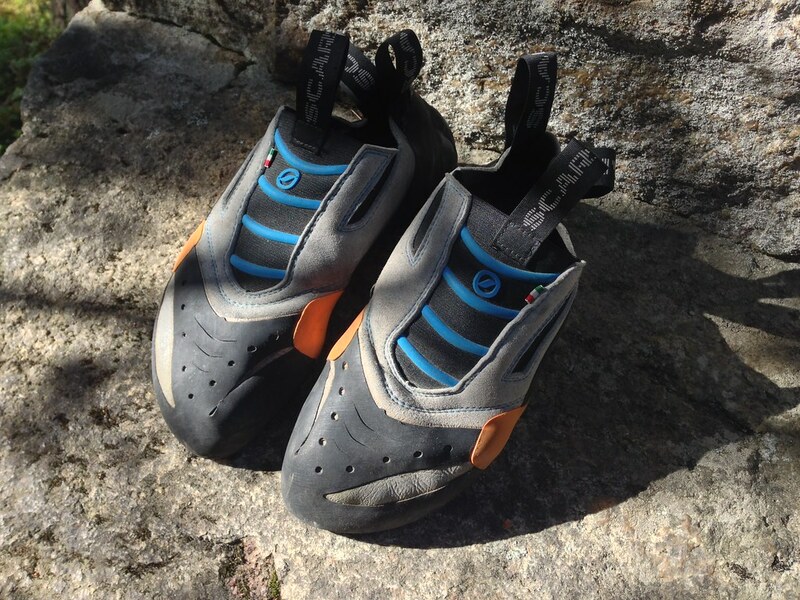 If you’re in the market for new climbing shoes and Scarpa’s shoes fit your feet well, I’d highly encourage you to try the Stix if you’re bouldering and sports climbing. It’s a highly comfortable shoe which is lightweight with great sensitivity and support that offers grip on narrow ledges, tiny pockets and lets you walk up steep slabs in comfort. Get your pair at Boulderkeskus, Camu, Bergzeit, Bergfreunde, CampSaver.com, Backcountry and REI.com.